Megan Hughes bought a five acre (2Ha) block in beautiful Wandiligong, near Bright, north-east Victoria in late 2013. Wandiligong is at the foot of the Victorian Alps and experiences warm summers and cold winters with occasional snow. The cold autumn nights bring beautiful colour into the autumn leaves of deciduous trees locally and the climate and soil is ideally suited to growing chestnuts and hazelnuts. Megan’s grandfather bought the adjoining 20 acres (8Ha) in the late 1950s and the family enjoyed many holidays there – her mother now lives there – so when the 5 acre block next door, owned by Megan’s uncle, (complete with chestnut grove) came on the market, she didn’t hesitate. The plan from the start was to try and make a small-holding viable and provide the income for living from the property. The prospect of doing something with chestnuts was daunting as they are little known or consumed by Australians, whereas hazelnuts are highly sought after. When Megan bought the place, she realized that it wouldn’t be easy to make a living from chestnuts – most people in Australia don’t know much about chestnuts, such as the importance of using them fresh, how to cook them, or how to peel and eat them, let alone the use of processed chestnut products. Also many chestnuts are not stored properly and are sold well after they should be, thus losing most of their freshness and flavour. Most chestnut growers in Australia pick, pack and despatch their chestnuts wholesale, as did Megan for the first two harvests. For 12 months, Megan travelled across the high plains every weekend from Gippsland, where her job was at the time, to start setting up the property – fencing, making improvements to the house, installing water tanks on the shed, retrofitting the shed space and building a commercial kitchen. 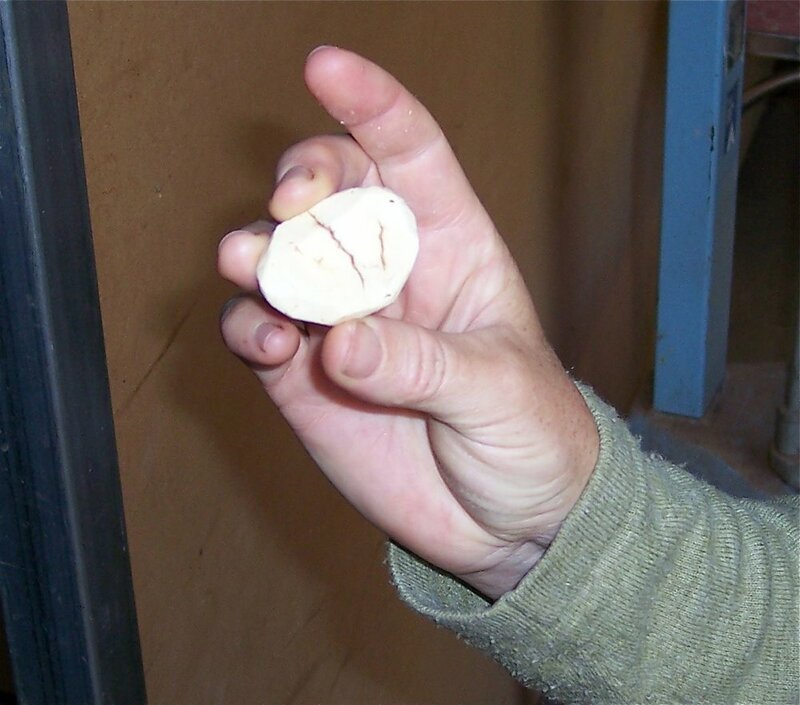 A compost toilet was installed (Clivus Multrum) to save water, especially over dry summers, and permits for the kitchen space and produce sales were obtained from the shire. Megan travelled to the Ardèche region of France for the famous chestnut festivals that are held in harvest season in every large and small town. At the festival markets she found grower-stallholders selling chestnuts in every imaginable form, including dried in pieces, dried whole, as soup, cakes, roasted, pureed as crème, in bread and pastries and many more ways. It was a real eye-opener and gave her much inspiration for the enterprise back home. Education on chestnuts was obviously going to have to be a big part of what she was setting out to do. It is a dream to slowly develop the same sort of excitement for chestnuts in Australia as she saw the French had for this seasonal treat. In April 2015, Wandiful Produce was ready to be launched, coinciding with the chestnut harvest. 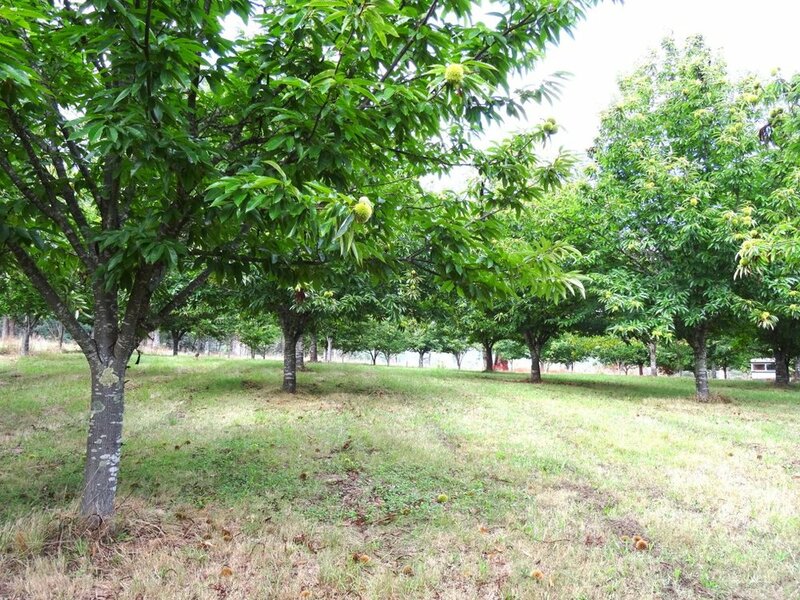 In total over the two properties, there are 5 acres of chestnuts and 1 acre of hazelnuts. From the start, Megan didn’t want to be using chemicals while managing the land. 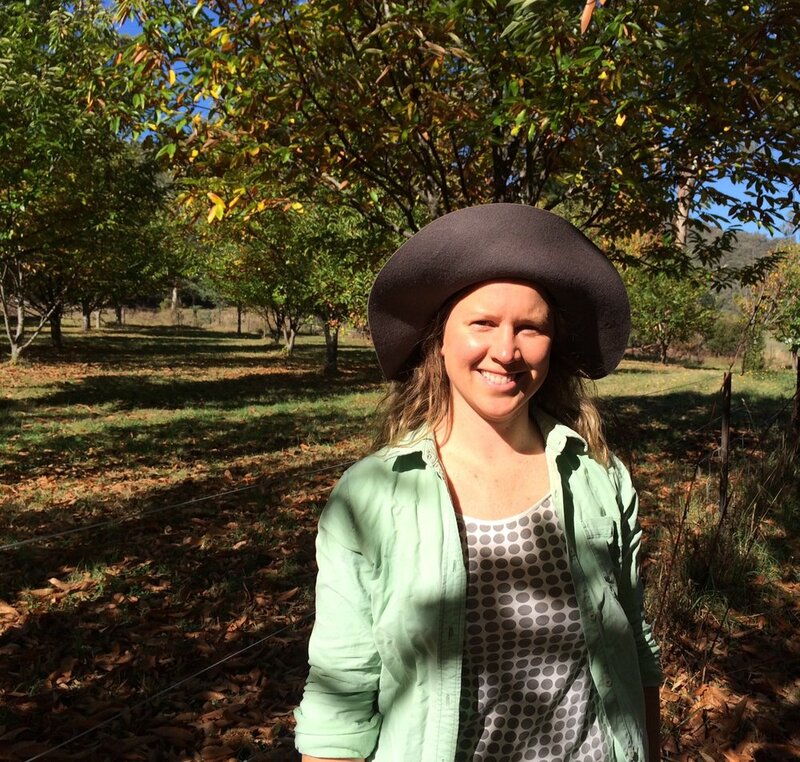 Soon after purchasing the property she attended the Sustainable Living Festival in Melbourne and met second generation Biodynamic orchardist Lynton Greenwood. She had heard about Biodynamics, but had the impression that it was a little difficult to grasp and a bit esoteric. However, talking to Lynton, she found his responses to her questions very practical – she could see that it offered a method of growing the purest, most nutrient dense product possible. Lynton came to visit the property and dug into the soil, pointing out the darker organic layer on top, the reddish stony soil underneath and the extent of penetration of the roots. Lynton showed how the feeder roots were restricted to the top 50-60mm or so. Megan then attended a Biodynamic introductory field day run by Darren Aitken (BioDynamic Growers Australia). That autumn, they applied the first prepared 500 spray to the two properties and sprayed again in spring. Lynton visited in November, and they again dug in the soil to see what was happening. The change was quite dramatic – the reddish soil had changed to a chocolate brown colour to a depth of 15-20cm and the feeder roots were well down. Megan needed no more convincing that Biodynamics was working. The older chestnut trees are around twenty five years old now, planted eight metres apart in rows ten metres apart. An inter-row of chestnuts was planted ten or so years ago, making the rows five metres apart. 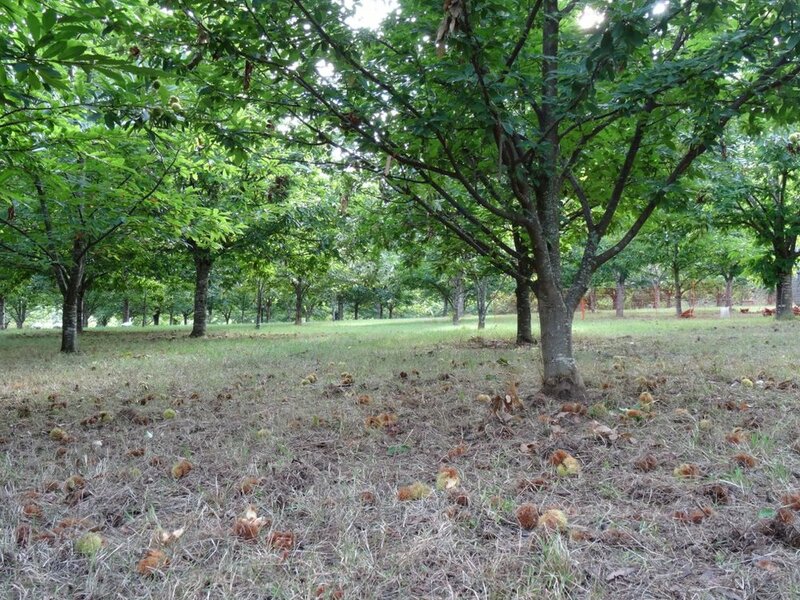 The inter-row will produce nuts until the grove becomes too crowded as the trees spread, and will then be removed to allow sun to penetrate and pasture to grow (many growers have dense, shading canopies and no pasture under the trees). The hazelnuts were planted in the 1960s, three metres apart in rows five metres apart. Her grandfather gathered suckers of six or seven different varieties, (ensuring good pollination) from friends and neighbours in the area. As Megan explained, chestnuts are in the nut family because they have a hard casing (the spiky burr), a shell and an inner pellicle, but behave more like a fruit because if allowed to sit on the ground they deteriorate quickly, and must be cool-stored to retain freshness. Prepared 500 is stirred in a 20 acre stirring machine and sprayed out over both properties in spring and autumn each year with a knapsack sprayer. The pasture under the chestnuts is allowed to grow to its full expression (with associated deep root development) over spring and summer before being slashed and left under the trees in February. Over the summer months, the tall grass protects the soil from moisture loss, seeds form and drop, and the roots go deep in search of moisture. After slashing in preparation for harvest, the roots die back and shorten, providing feed for the soil biology, before starting to regrow. When the roots grow deeper and stronger, they develop the soil structure, in conjunction with the activity of 500. Slashing in February allows the chestnuts and hazelnuts (that drop to the ground when fully developed) to be easily found and collected. The hazelnuts are harvested in February and the chestnuts follow, from March until mid-May. The somewhat shading canopy, combined with grazing by a small flock of roaming geese and some rotationally grazed laying hens, ensures that the grass is at a suitable height for 500 spraying in both spring and autumn (ie fairly short). As she learned from Darren Aitken, the 500 is sprayed by walking quite fast and waving the spray nozzle back and forth very quickly, evenly covering the full five metre width between the chestnut and hazelnut rows. When the knapsack is empty it is easy to mark where in the row the spray ran out and continue again from that point with a refilled knapsack. No fertilizer or irrigation is applied – the trees are now well established, with their roots well down and the soil is fertile and freely draining, with the tremendous added development brought by 500. Megan gained her Demeter Biodynamic certification from the Biodynamic Research Institute in December 2017. Each harvest season, volunteer workers come to live with them, and help with the harvest. This year two French women have come to help and brought chestnut cake and soup recipes from home. These delicious chestnut dishes and cakes such as chestnut tiramisu and chestnut cake are served in the shed café which is open seasonally over the harvest period. This can be enjoyed by those who come to pick their own chestnuts in the grove, a popular activity among people of Asian or European descent who still have a strong connection with chestnuts and the season. Chestnuts have a very spiky outer husk – pickers wear boots and step either side of the husk to expose the nuts inside. The nuts are given a gentle kick to move them away from the husk and are collected by hand into a bucket or basket from the ground. Fresh chestnuts should be firm and shiny. They should be cool-stored at around 3-4 degrees C. Stored this way, they last well until peeled and processed into chestnut flour, chestnut crème and other value added products. Picking daily not only ensures freshness but also minimizes the amount left on the ground overnight, for Samba deer which come looking for a feed of chestnuts. These deer also rub against the tree and snap the lower branches, causing long-term damage. Chestnuts used for processing must first be peeled. After peeling they can be processed in many ways: boiling in water or milk, frozen (they keep for 12 months when frozen), dried and milled for flour, or made into the most delicious chestnut creme (a sort of sweetened chestnut jam, that makes cakes very moist). 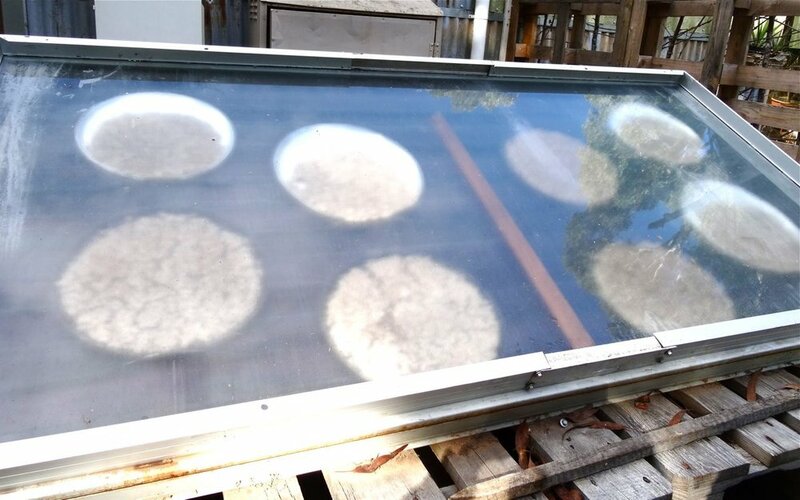 A simple solar dryer for the peeled and crushed chestnuts is used so they can then be milled into flour. 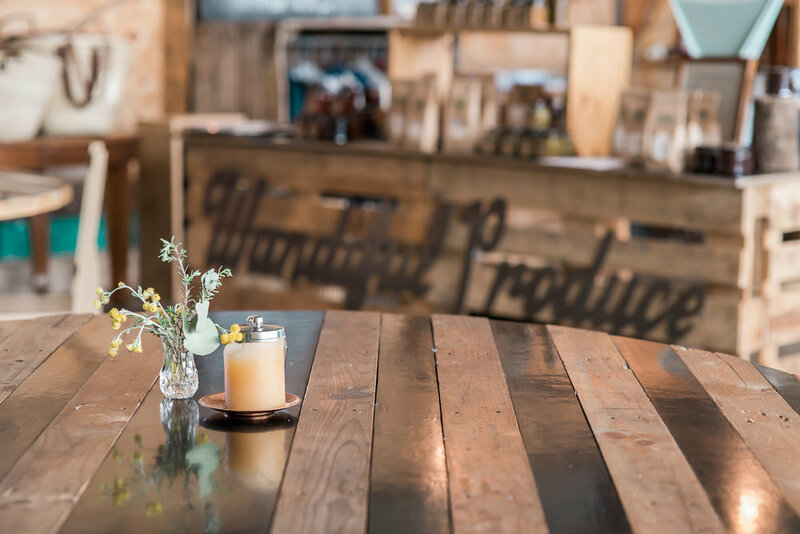 The café features a wood fired oven and a shop where chestnut produce can be bought along with a range of other local produce. All the tables were made from recycled materials. We enjoyed a coffee with some most delicious chestnut Florentines, made with chestnut flour, butter, dates and honey, dipped in chocolate, and can fondly imagine trying some of the other delectable sweets while enjoying the combined warmth of the wood fired heater and wood oven on a frosty Wandiligong winter’s day. Megan is committed to an ecologically sound ways of doing things, which is one reason why the Biodynamic method of farming has been a good experience, but it also extends to other areas such as her choice to use non-toxic cleaning products at home and in the shed, repurposing materials and living with off-grid power. Megan is further developing the vegetable garden to produce more Biodynamic food to use in the home and shed café kitchens. She would also like to further develop the free range hens as the eggs are in demand locally. The vegetables and hens will also spread their production more evenly over the year, compared with chestnuts which are quite seasonal. With a very busy life (Megan is also on the marketing committee of Chestnuts Australia) Megan is looking for someone to take over the running of the café, using the chestnuts and other produce, leaving her freer for the farm work and chestnut processing.